The other shoe has dropped in the federal college basketball scandal. And it contains a swoosh. Tweets from alleged felon Michael Avenatti, who is accused of extorting Nike, have rocked the sport for the past 36 hours. The accusations cast a shadow over Nike, two of its flagship basketball programs – Arizona and Oregon – and have left everyone wondering what else the high-profile attorney may say next. Yet Avenatti isn’t backing down. He followed up Tuesday morning with tweets that contain allegations against No. 1 NBA draft pick Deandre Ayton, who attended Arizona last season, potential 2019 lottery pick Bol Bol of Oregon and a high-ranking Nike grassroots official. Avenatti’s indictment originated from the Southern District of New York, which should be familiar to college basketball fans. That office took the lead on the landmark cases that resulted in the arrests of 10 men in September of 2017 and the convictions of three last October, in a trial that centered on Adidas' role in paying star basketball recruits. There are two federal trials scheduled from that investigation. While Avenatti is accused of extorting Nike, legal experts say that doesn’t make his information any less interest to the SDNY — and, by extension, the NCAA. It was notable that Edward Diskant, the lead prosecutor on the Adidas case, stood alongside U.S. attorney Geoffrey Berman at his news conference announcing Avenatti’s arrest. Is it Nike’s turn under the microscope? With Avenatti’s accusations sending a jolt through the sport for the second consecutive day, an obvious legal question lingers in college basketball: Is it Nike’s turn next? SDNY spokesman Nicholas Biase reiterated to Yahoo Sports on Monday night that “the investigation continues,” echoing the comments of Berman earlier in the day. Could another federal colonoscopy be coming for the sport? Where would an investigation start? Arizona and Nike did not respond for comment. Avenatti went on to directly implicate a low-profile but important figure from Nike’s Elite Youth Basketball League, Carlton DeBose, who is the EYBL’s director. DeBose is essentially in charge of all things grassroots for Nike, one of the most important jobs in all of youth basketball. He controlled the budgets of teams, including having a say in financial decisions like ending Franklin’s contract. “He’s the man behind the curtain,” said a veteran Nike grassroots source. DeBose was the EYBL successor to Merl Code, who went on to work for Adidas and was found guilty in the first federal basketball trial. Code faces more charges in April. Code’s attorney declined comment to Yahoo Sports Tuesday. The Monday news brought Franklin, a low-key Southern California AAU fixture for more than a decade, into the spotlight. His program produced dozens of high-major players who attended schools like Arizona, USC and Oregon. In Monday’s news conference, Berman declined comment when asked if Franklin cooperated with the FBI. The first flurry of scandal in this college basketball case primarily involved Adidas, as players like Brian Bowen, Dennis Smith Jr., Silvio De Sousa and Billy Preston all ended up committing to schools sponsored by that shoe company – Louisville, North Carolina State and Kansas. Two former Adidas officials – executive Jim Gatto and consultant Code – were found guilty in the first trial. There were hints that Adidas wasn’t bidding against itself for players in the first trial. There was a reference to former Adidas consultant T.J. Gassnola helping De Sousa “get out from under” a deal with a booster from Under Armour-backed Maryland, essentially needing to give him money to pay the booster back. There was also a mention in court that Oregon offered an “astronomical” amount of money for Bowen. Without more proof, there appeared to be little interest in federal officials chasing down the facts. Will there be more motivation now? In the federal complaint, it states that Avenatti told Nike officials that “one or more Nike employees had authorized and funded payments to the families of top high school basketball players and/or their families and attempted to conceal those payments.” Avenatti’s tweets indicate those are Bol and Ayton, talented big men whose recruitments were fraught with complications and controversy. A rotating cast of high schools, middlemen and agent runners followed them as they hopscotched to different schools in different states while playing for various grassroots teams. Ultimately, they ended up with Franklin’s Nike-sponsored AAU program and attending Nike-sponsored colleges. Bol attended high school in the Kansas City area before transferring to Southern California power Mater Dei in 2016. His stay at Mater Dei lasted nearly a year. Bol attended USA Basketball minicamp in October of 2017 accompanied by Mel McDonald, a basketball underworld figure who’d also been tied to Ayton’s inner circle early in his high school career. McDonald wore Mater Dei warm-ups while he watched Bol at USA Basketball practice. A few weeks later, the son of late NBA star Manute Bol left for Findlay Prep, a Vegas-area basketball power. He committed to Oregon less than two weeks after that. McDonald comes with a troubled past. He pleaded guilty to a misdemeanor extortion charge in 2013, which included 36 months of summary probation and 120 days in custody via a work release program. He has fulfilled the terms of his probation, leading a judge to grant a motion to dismiss in 2016. That case stems of allegations of extortion and theft. 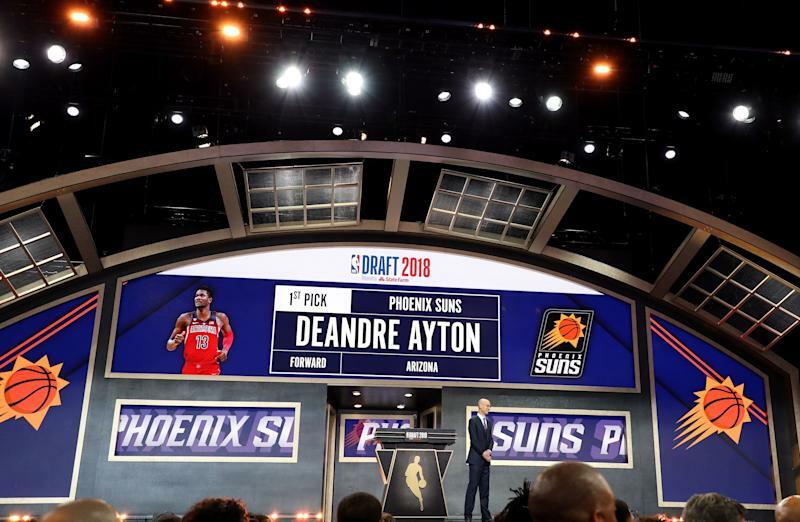 Ayton came over from the Bahamas early in high school and became the top draft pick despite a sordid trip through the American basketball system. Yahoo Sports documented that journey last spring, including McDonald’s involvement. 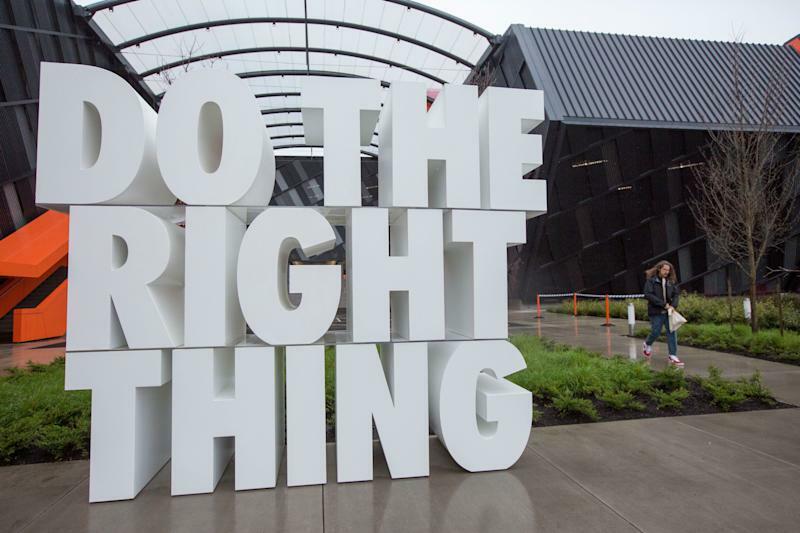 Information about Nike's potential role in those recruitments could arise in discovery, or potentially in a trial, which means another threat to the college establishment looms. “Anyone that participated in the conduct should be concerned that there’s going to be a knock on their door to flesh out the conspiracy,” Hill said. On Monday, dozens of cameras lined up outside the Daniel P. Moynihan Courthouse in Manhattan for an unusual collision of the mainstream news and the sports world. 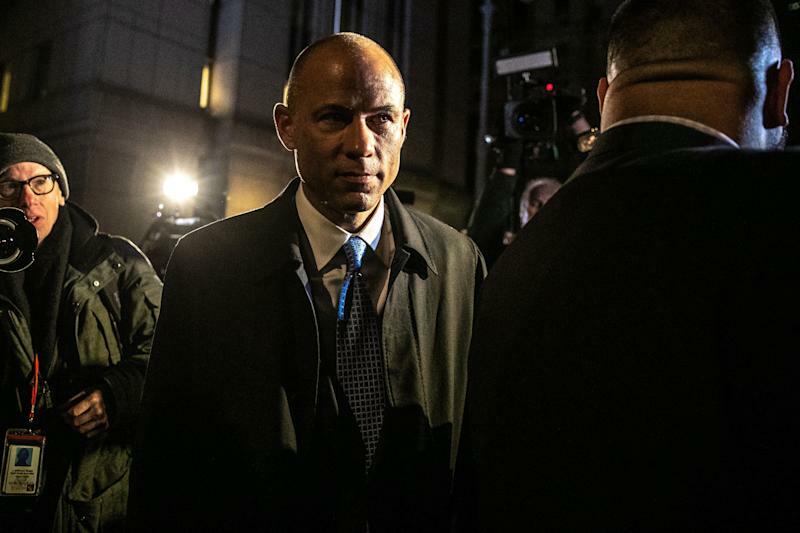 Avenatti, a constant presence on the American cable news landscape over the past year, has now entered the American sports landscape with an infamous flourish. What will that mean for Nike? In the third major federal case to emerge on the college athletics landscape in the past 18 months, that looms as the largest question.